On Thursday, Japanese Prime Minister Shinzo Abe met with Chinese President Xi Jinping in a highly-anticipated summit under the shadows of new and older tensions. Abe's October visit is the first time a Japanese leader has traveled to meet the Chinese president in Beijing in almost seven years illustrating an important thaw in Sino-Japanese relations, potentially motivated by concerning actions towards both countries by the United States. While China braces for future escalation with the U.S. after tariff impositions, treaty withdrawals, and contentious naval relations, the U.S.-Japan relationship has been affected by increasing uncertainty. President Trump has made a number of comments urging the U.S.'s Asian allies to pay for their own defense costs, comments that leave countries like Japan concerned about a large-scale U.S. military pull-out from the Pacific. 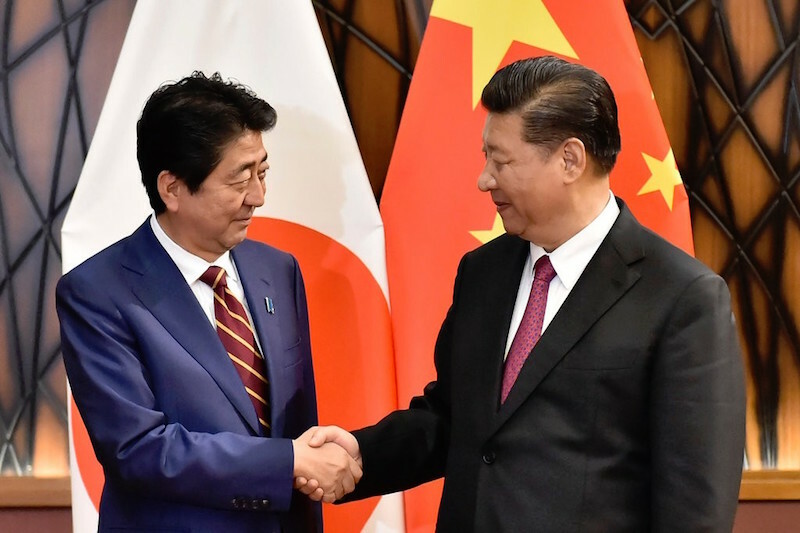 As both countries attempt to maneuver within their relations with the Western power, China and Japan find strong incentive to move past historical tensions for the possibility of future stability. Further, as explained by China-US Focus contributor Zhang Tuosheng earlier this month, "If and when the China-Japan relationship is on the track of sound and stable development, it will have a positive influence on China-U.S. relations." 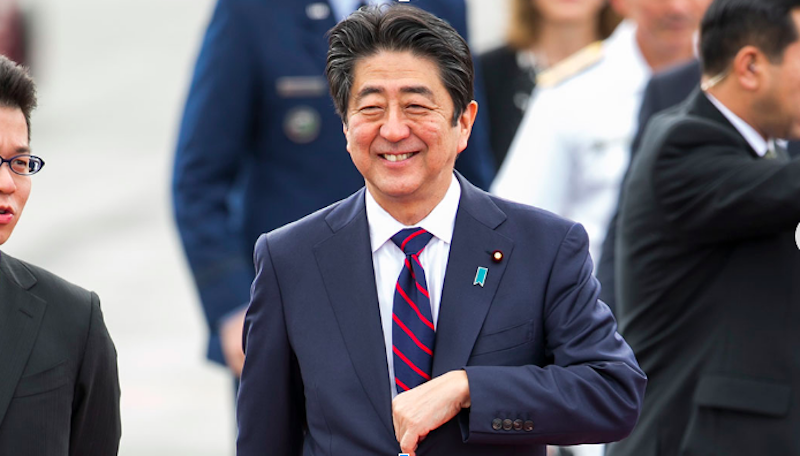 In this week's journey to China, Prime Minister Abe was accompanied by nearly 500 Japanese businesspeople, a signal that both countries find the prospect of a bolstered trading relationship attractive. Japan has also agreed to sign an agreement with China, stating that the two neighbors should increase cooperation on various infrastructure projects in developing countries. The South China Morning Post noted that Abe's visit also included the commemoration of the 40th anniversary of the Treaty of Peace and Friendship between the two nations. This week witnessed the opening of the world's longest sea bridge as Chinese President Xi inaugurated the Hong Kong-Zhuhai-Macau Bridge on Tuesday. 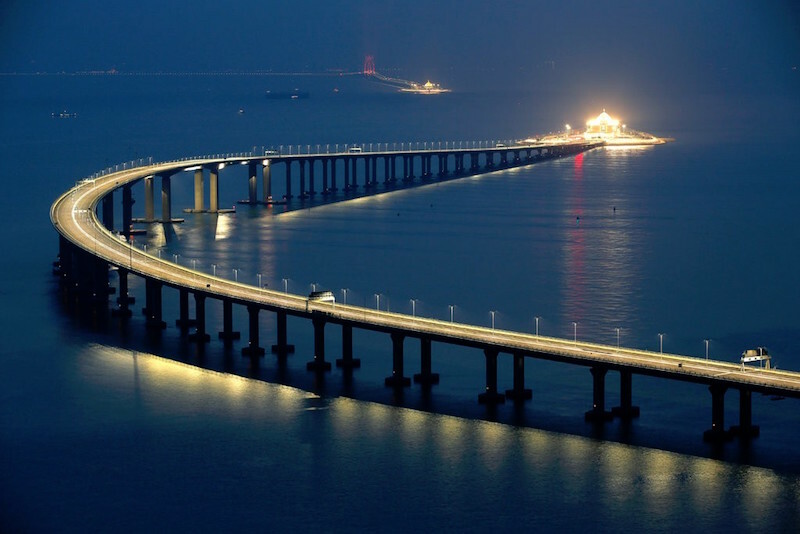 The full project, spanning 34 miles and crossing the Pearl River Delta, includes a 14 mile long bridge as well as artificial islands connected by an underwater tunnel near the Hong Kong airport. Attending the opening ceremony during his trip to Guangdong, President Xi modestly declared the bridge "formally open". The bridge serves as the physical link between Hong Kong and the southern Chinese mainland as a means of increasing economic prosperity within the Pearl River Delta; capitalizing on the success of financial and tech centers like Hong Kong and Shenzhen to develop cities on the western banks of the river like Macau. This innovation also drastically decreases travel time from Hong Kong to southern China; a journey that previously took nearly four hours is cut down to just over 30 minutes over the bridge. Projects such as deeming it the "bridge of death" due to reported worker casualties and negative effects on the area's endangered white dolphin population. Others highlight that the project may go beyond economics, serving as an instrument for Beijing to more tightly integrate the former European colonies of Hong Kong and Macau with the greater Chinese nation. In spite of delays and questions, the bridge initiated operations for public traffic on Wednesday. Frustrations between the United States and China continue to grow as China strengthens its sea and air power in the Taiwan Strait. The island remains of high importance to the Chinese, as explained by Defense Minister Wei Fenghe who said, "The Taiwan issue is related to China's sovereignty and territorial integrity and touches upon China's core interests." However, domestic politics in Taiwan are reflecting a growing conflict over the island's identity. Taipei will hold local elections in November; voting on a number of issues including a referendum that determines whether Taiwan will compete in the 2020 Tokyo Olympics as "Taiwan" or "Chinese Taipei." 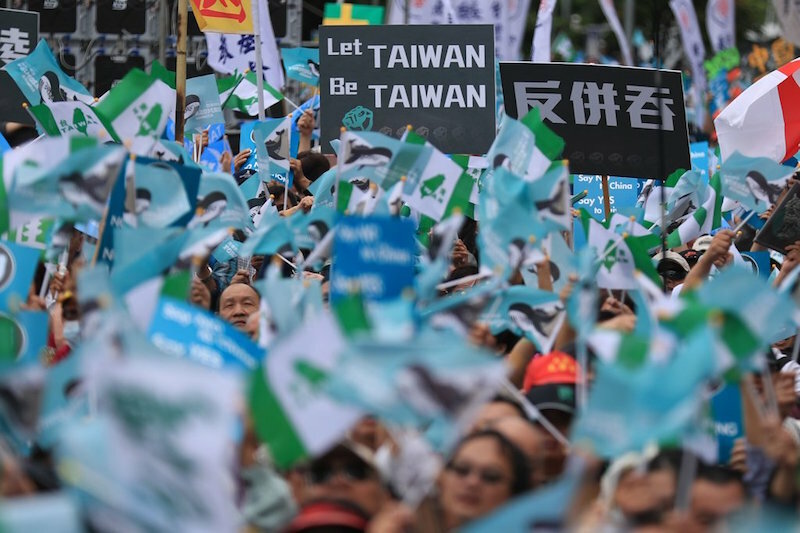 In addition, some Taiwanese activists are also seeking changes in voting law to allow for additional referendums on contentious topics, such as national sovereignty. They expressed this sentiment during a march in front near the headquarters of the Democratic Progressive Party last weekend. Also contributing to the complex situation in Taiwan, a new $330 million deal was signed on Wednesday between the U.S. and Taiwan that provides the island with spare parts for F-16 fighter jets, C-130 cargo planes and other aircraft systems. This will be the second U.S. arms sale to Taiwan in less than 18 months, increasing the defense ties between Washington and Taipei. The progression of these relationships will remain critical in the coming times, as explained by China-US Focus contributor Zhang Tuosheng, "The Taiwan question bears on China's core interest and has always been the most important and most sensitive topic in China-U.S. relations, which are stable only when the situation across the Taiwan Straits is stable." 'At Large' Podcast: A Reset for China-Japan Relations? In this week's episode of our 'At Large' podcast, James Chau examines Prime Minister Abe's visit to China and its future significance, questioning, "Is this a reset for China-Japan relations?" James also highlights analysis of the U.S. withdrawal from the historic Paris agreement by Jeffrey Sachs and John Holdren, as well as China's role in combating climate change. Listen in here.